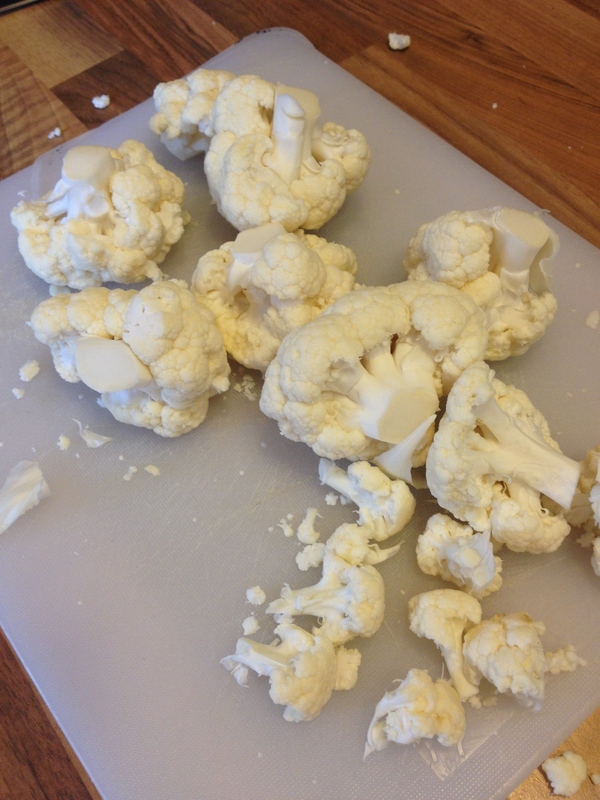 You won’t often find cauliflower in my fridge. I absolutely hate cauliflower cheese and until recently, I never really knew what else to do with it. 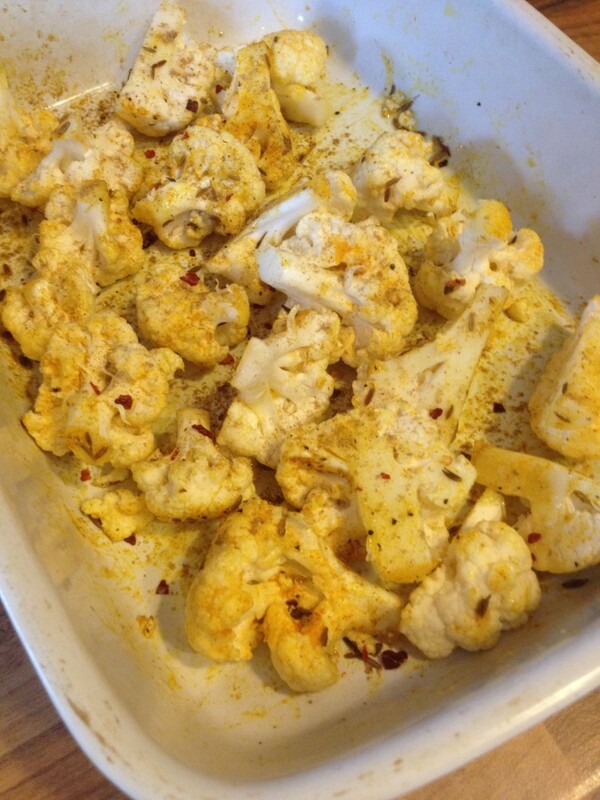 Since following the recipes of the brilliant Yotam Ottolenghi in the Guardian and reading his books, I have discovered new ways to enjoy a bit of cauliflower in my life – the best being roasted and spiced. Salads and sides with roast cauliflower are cropping up all over the place, particularly Earthy and my new favourite place, The Potting Shed, in Edinburgh. Another new craze is cauliflower “rice” – a low-carbohydrate alternative to the real thing. I did a bit of experimenting in the kitchen recently to create both dishes and found a place for them in my lunchbox. It’s always good to boost your vegetable intake and add a few veggie-based recipes to your repertoire. Cauliflower itself is a good source of fibre, vitamin C, folic acid, calcium and iron and when cooked well, can really be delicious. I’ve already written about a little roasted romanesco salad but here are a few more cooking tips. Pop the oven on 180C and choose a big oven-proof roasting dish. 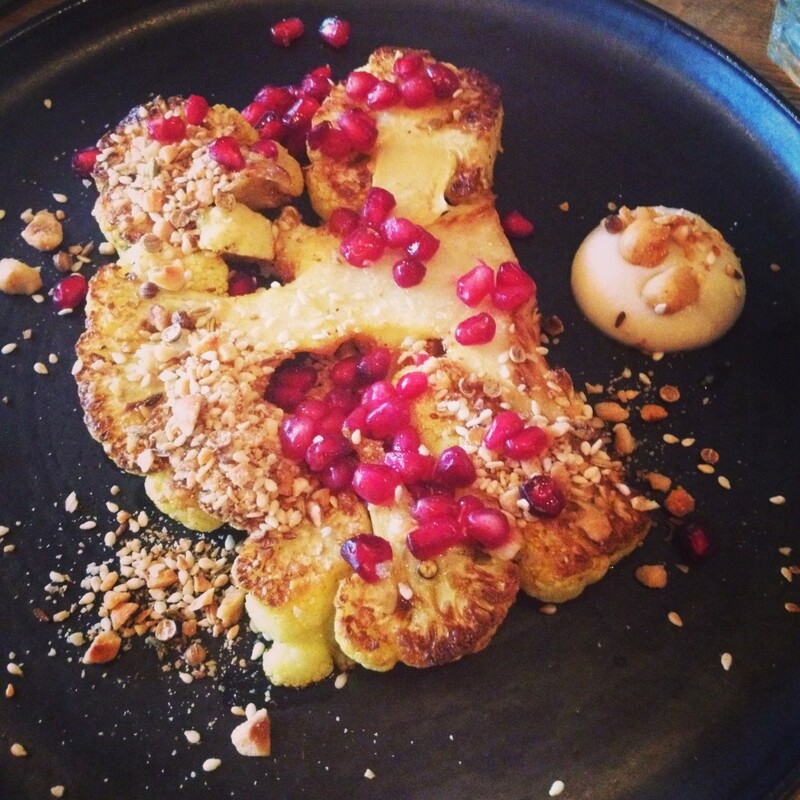 Break your cauliflower into florets, halving the bigger ones. 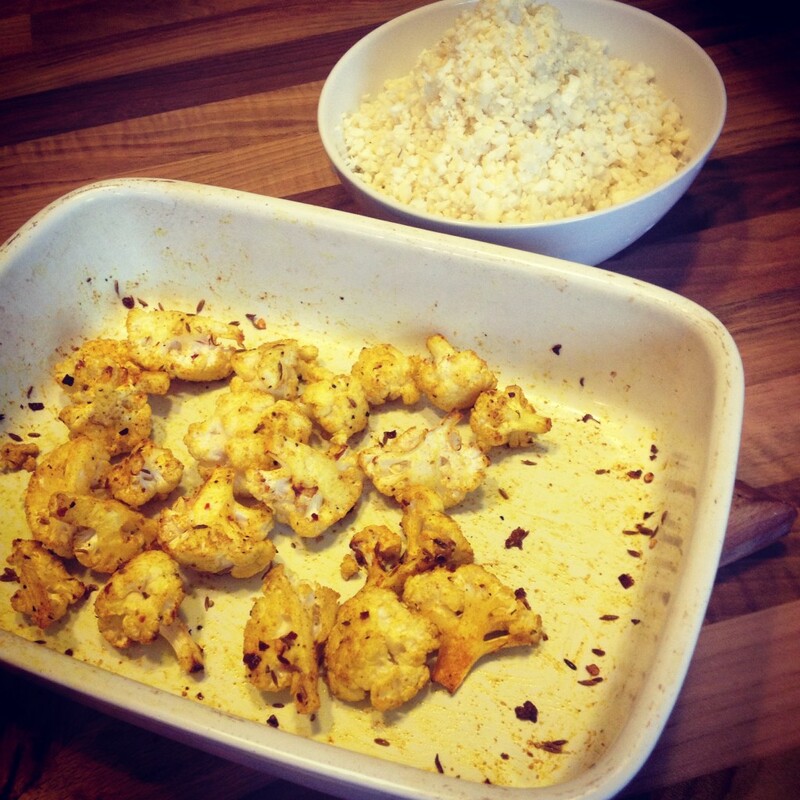 Put the cauli into your roasting dish and drizzle over a good glug of oil (rapeseed or olive). Toss it all together to coat the veg. Sprinkle over the seeds and ground spices, mixing everything well so the cauli is covered in delicious spice and ready for the oven. Roast for around 20 minutes until the edges are starting to colour and the florets are crisping up. 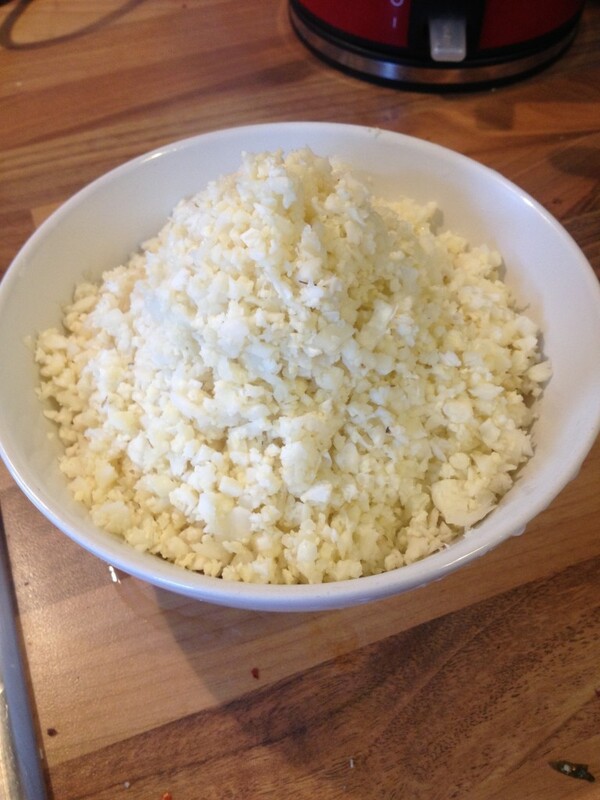 Break up the cauliflower roughly into florets and pop into a food processor. Pulse until it forms a coarse mixture, vaguely resembling rice. Heat 2 tbsp. of oil in a large pan then add the cauliflower. Saute gently for around 5 minutes until it is starting to soften. No need to add water, just a good pinch of salt and ground black pepper. You can add spice at this point too if you fancy, similar to the ones used above. Posted in Blog, Good foods, Recipes and tagged blog, calcium, cauliflower, fibre, iron, lunch, recipe, roasting, salad, side, spice, vegetables, vitamin C.